The day-long event consisted of four panels, each of which examined the question of religion and democracy in U.S. foreign policy from a different perspective. The panels addressed the role of religious actors in U.S. democracy programs and policies; the 'twin tolerations' and democratic stability in highly religious societies; emerging trends in the data concerning the relationships between religion and democracy; and the relationship between Islam and democracy in key Muslim countries. Scholar Fida Adely addresses the struggles surrounding moral authority through an ethnographic exploration of religious teaching and practice in a girl?s secondary school in Jordan. Scholars Wong, David, Garbin, Sadouni, Martin and Casanova discuss the SSRC Project on the Religious Lives of Migrant Minorities, which investigated the roles of Christianity, Islam, Hinduism, and Buddhism for immigrants settled in Malaysia, South Africa, and Great Britain. Making Pro Sports Kosher:: Sports-World Christianity and its Implications for Religious Minorities. In the context of a globalizing world marked by the freer flow of people and ideas, proselytism has become increasingly controversial. On March 3, 2010, the Berkley Center sponsored a day-long symposium on proselytism and religious freedom in the 21st century. Experts from a variety of scholarly and policy fields investigated the theological, legal, and political implications of the missionary impulse. Paul Knitter addresses the legacy of New Testament scholar Krister Stendahl, whose notion of a 'Path Not Taken? offers guidelines for a positive response to Wright and for a ?non-zero sum game? and dialogue between Christianity and other religions. In this lesson you will learn the essential vocabulary to get started at Portuguese. If you’re a premium member you’ll get more vocabulary, activities, cultural notes and grammar close-ups. International Religious Freedom: How Important is it to America? What role should the promotion of international religious freedom play in American foreign policy? This event convened a panel of three experts -- Akbar Ahmed, Allen Hertzke, and Andrew Natsios -- for a conversation with Thomas Farr about his new book, World of Faith and Freedom: Why Religious Liberty is Vital to American National Security (2008). 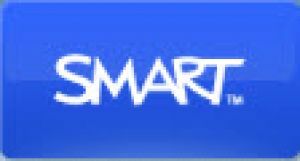 SMART NOTEBOOK : Niet gratis!